Grain Rescue Demonstrations A Deadly Time Bomb? A teenage girl is immobile and nearing panic, buried to her chin in grain. With every exhalation of breath, the grain grips tighter, pushing hard against her chest and constricting her lungs. Rescue personnel move in to separate girl from grain using a tube, while a rapt audience, unaware of danger averted, applauds as an entrapment demonstration ends. And the band plays on. The agriculture industry is placing its youth directly in harm’s way, according to an editorial signed by leading safety experts and ag engineers. The editorial, “Let’s Stop Treating Our Youth Like Dummies,” calls for an end to the use of teenagers as victim participants in grain entrapment rescue demonstrations, and describes the practice as a one-way road to serious injury or death. Released Feb. 7, 2017, “Let’s Stop Treating Our Youth Like Dummies,” is authored by Bill Field, professor of agricultural health and safety at Purdue University, and director of AgrAbility. “Everyone has access to mannequins that could be used instead of kids. Rescuers think they are in control, but there’s too much risk. Even if a person isn’t sucked under, they can have serious physical reactions like hyperventilation, elevated heart rate and blood pressure,” he adds. Case in point: Field is currently reviewing a training session from the East Coast involving a hopper bottom bin with a crank-operated opening. Grain entrapment training turned into a real-time rescue mission when an adult became wedged in the flow and firefighters were forced to cut the hopper bottom open. “There’s definitely some kind of psychology at play for farmers and agriculture. People think they’ve done something so many times and nobody got hurt and never will. But the red flags are everywhere, especially when we’re talking about kids,” Roberts says. “Just go read the individual accounts: People have died in entrapments when their heads were above the grain line and they didn’t even ingest grain. Part of the reason is how the body responds to stress,” Schwab adds. Who Holds the Liability Bag? Field has recorded grain entrapment statistics for 30 years, counted the costs of tragic loss to farming families, and testified in 120 agriculture-related cases involving disputes and tragedies of all stripes. He knows the dangers of grain entrapment as well as anyone in the United States. 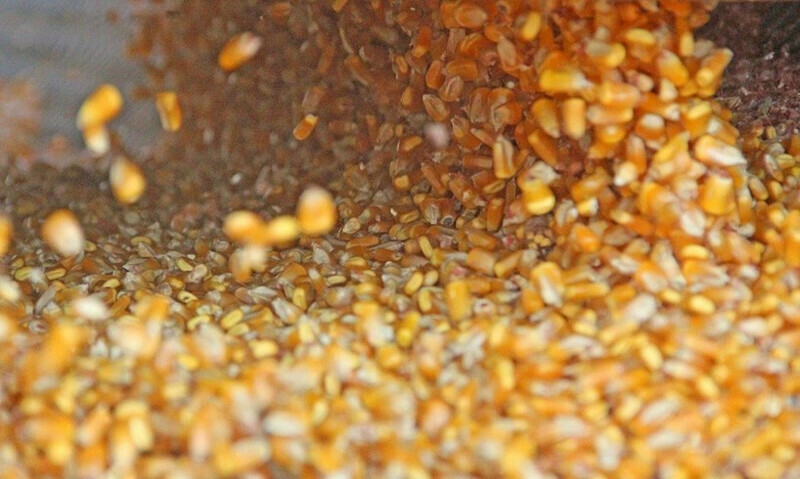 When grain accidents occur, liability is always a center issue. “When a kid gets injured in an entrapment demonstration, the event organizer, farm owner and sponsors are all going to be named in the lawsuit. In the farmer’s case, I can almost guarantee you he will lose and be found negligent,” Field says. “Using kids in grain rescue training opens organizers and facilities up to liability, and that’s a big part of the issue people in agriculture need to think about,” Roberts echoes. Beyond Field, Neenan, Roberts and Schwab, three other signees backed the editorial: Robert Aherin, agricultural and biological engineer at the University of Illinois; Roger Tormoehlen, agricultural and biological engineer at Purdue University; and Yuah-hsin Cheng, agricultural safety researcher at Purdue University. “Our intent is to get the word out that it’s time to stop using kids to demonstrate entrapment and rescue from flowing grain. The risk of injury is too great and the possibility of suffocation is unacceptable,” Field says. Editor’s Note: To read the complete text of Field’s editorial, see “Let’s Stop Treating Our Youth Like Dummies.” Additional information on grain safety issues can be found at agconfinedspaces.org.